Not sure if I shared this with you before, but I was back at Hobby Lobby a couple of weeks ago, and it was still there. I just loved this saying. Things have been quiet on the quilting front around here. Between Graduations and weddings, my sweet hubby and I also bought a travel trailer. Yep, the Happy Cottage is about to become mobile. We traveled all the way to the great state of Texas to pick up our new (to us) second home. It was a long trip, but was well worth it. Because this is what followed us home. For it is by grace you have been saved, through faith—and this is not from yourselves, it is the gift of God—not by works, so that no one can boast(Ephesians 2:8-9). A huge array of bakery items. And people...... lot's and lot's of people. I love these fun scooters. This is a major form of transportation in Italy. I would suggest if you ever find your way to Mazzaro's, to go during a week day. I had been there a year ago, on a Saturday, and it was packed, to the point of not being able to move. There are still a lot of people during the week, but at least you can move around. Hope you enjoy this little tour. I am SO loving how this quilt is coming along. A little structural change in a pattern, but the fabrics are so gorgeous. Hopefully a finish for a little boys upcoming birthday. I read a lot. A LOT! So when I had the opportunity to review Silenced from Bethany House, I was thrilled. A new novel by Author Dani Pettrey, I was doubly thrilled. Dani Pettrey has written several books in a series called Alaskan Courage. I've read two of the previous books, and I was always captivated. I've never been to Alaska, but it's been on our short list for many years. "Silenced" continues the adventures of the McKenna family. Having read the first two books, I was already familiar with the McKenna family. However, even if you have never read any of the previous books, you can jump right in and become involved with the McKenna's and their unique place in the Alaska horizon. "Silenced" is considered a romantic suspense thriller, and Ms Pettrey does not leave you wanting. As the events became unravelled, I was riveted by the untangling of the web. The strengths and weaknesses of the characters allowed me to glimpse into their hearts and lives. A mark of a good author. "Submerged", "Shattered", and "Stranded". You won't be disappointed. This is not quilt related, but I wanted to share this amazing design that was built in my hubby's shop. My sweet hubby does specialty metal fabrication, and this was a commissioned piece by the USAF. It was to be lighted somehow, and I would love to see this set up at the AF base at night. I'll bet it is awesome! Mother's Day is a special day. Not everyone is a Mother, but we've all had a Mom in our lives. Whether it was a natural Mother, an adopted one, or just a special woman who came along side to encourage you. My own Mom went to be with the Lord when I was in my 20's, but there have been women who stood in her place. I am thankful for God's mercies to allow me to share special "Mom" time with these women. If your Mother is still living, be sure to give her a hug. And if your Mother is already gone, find someone who could really use a hug. It could be a relative, a friend, a neighbor, or even an acquaintance. In the Bible we see when Jesus hung on the cross, he gave His own Mother into John's safe keeping (John 19:26-27). I'm sure after Jesus died, Mary needed a hug. And when the Lord returned from the grave, in my heart of hearts, I know He hugged His Mother. Mary probably treasured those moments, just as she did when the shepherds told of the birth of Jesus (Luke 2:19). May the Lord bless each one of you, whether you are a daughter, Mother, Grandmother, sister, niece, friend or neighbor. This is coming along on my design wall. The fabric that reads solid are Island Batik. Perfect fabric for a patriotic Independence Day quilt. Woo-Hoo, something in the works! A parent waits many years for this moment. Our youngest taking that walk across the stage. We are proud of you son. 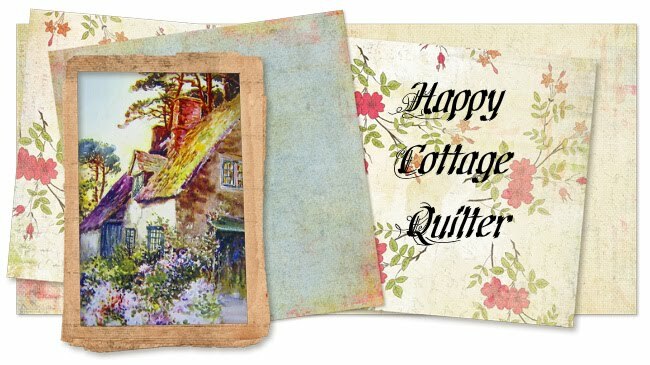 Hope your day is full of happy quilting! I've been out of the blogging loop for a little while. With family obligations, I've not had a lot of time to be quilty creative :-) Hopefully things will slow down soon. However, being a happy Ambassador for Island Batiks, I have had the privilege to preview some of the upcoming fabrics that will hit the Spring Market. The first line is Fruit Punch. The detail that goes into these batiks is so awesome. The second line is called Uncle Sam's Soda. Just in time for a Fourth of July quilt. These fabrics will be introduced at the Quilt Market and will be available at your local quilt shops in late summer. Did you know that the fabrics for Island Batik are designed by Kathy Engle, along with additional fabric artists and designers? Every yard of fabric is created using a wax resist method, a process of using wax and dye, to create patterns and give the fabric outstanding depth and range of color. This is handmade in Bali, Indonesia by skilled artisans. I already have big plans for these gorgeous fabrics. I hope everyone is staying well and enjoying a little bit of Spring in the US.